what's better than an SPP t-shirt? 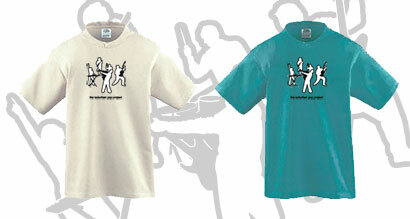 ~^~^~^~^~^ nEw SpP tShiRTs!!!! ~^~^~^~^~^ that's my boy-f in front rockin' out on guitar <3 <3 <3 (i heart u!). i like how my legs look in silhouette... i'm one hot chica! again, need i remind you how important it is to keep up on the latest FaSHiOns!!! having one SPP-T is just not enough... you need both for MAXiMuM cuTEnEss!!! And to go with different shoes, duh! what do you want? to die alone and frigid?!? tee hee! just joking! hey girls! welcome to my space. let's hang and i'll tell you all about what's currently cute!